These are a really cute idea to show your kids how special you think they are. 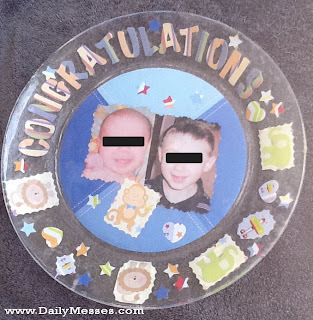 Pull the plate out to serve their birthday cake or breakfast on. Or, use it for other special occasions (winning a competition, graduations, all A's on a report card, religious accomplishments). Make one just for birthdays with a baby picture, their length and weight, and Happy Birthday in paper letters. 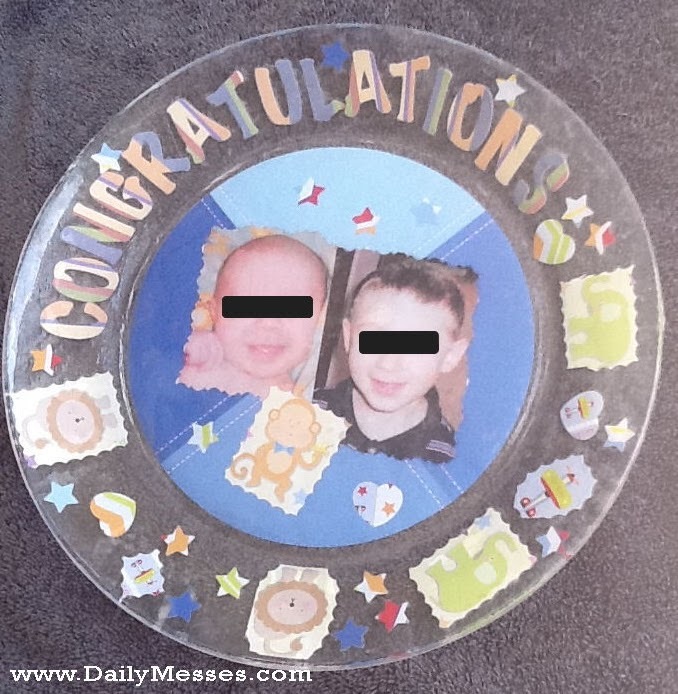 If you want a plate that can be used more often, have the words Congratulations with stars, balloons, confetti, etc. Apply a thin coat of Mod Podge to the back of the plate. (Try not to leave too many lines, as they may show through once dried). Press embellishments and pictures to the Mod Podge. Smooth out any air bubbles. Apply a thin layer of Mod Podge over the paper. Make sure to continue slightly past the edges of the paper/pictures/etc. Let dry (about 15 minutes). Apply about 6 coats total, letting dry in between coats. These plates are hand wash only (no soaking)!